Data-driven machine translation has shifted from traditional statistical machine translation to neural machine translation (NMT) powered by deep learning. Although translations generated by NMT systems are now much better than those by SMT in some languages, it is still difficult for NMT to handle discourse-level machine translation, translation of sentences with complex linguistic patterns and so on. Prior and external knowledge is widely considered helpful on these issues. However, incorporating external symbolic knowledge into NMT is non-trivial. In this talk, I will discuss the connections among data, knowledge and NMT models, as well as our recent efforts in exploring external knowledge in NMT. Deyi Xiong is a professor at Tianjin University. He is an Excellent Young Scholar supported by National Natural Science Foundation of China. Previously he was a professor at Soochow University from 2013-2018 and a research scientist at the Institute for Infocomm Research of Singapore from 2007-2013. His primary research interests are in the area of natural language processing & understanding, especially in machine translation, dialogue and natural language generation. 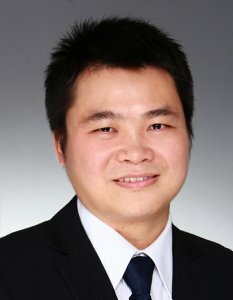 He has published papers in prestigious journals and conferences, including Computational Linguistics, IEEE TPAMI, IEEE TASLP, Artificial Intelligence, AAAI, IJCAI ACL, and EMNLP. He is the first author of the book "Linguistically Motivated Statistical Machine Translation: Models and Algorithms" published by Springer. He was the program co-chair of IALP 2012 and CWMT 2017. He has also served as area chairs of many international conferences including ACL, COLING and NAACL. He was the recipient of Achiever of the Year 2008, Institute for Infocomm Research, Singapore, and Beijing Science and Technology Award 2nd Prize in 2009. He has been awarded a Newton Advanced Fellowship by the Royal Society.